Galaxy S8 Exynos 8895 vs Galaxy S8 Snapdragon 835: Which One Is the Faster SoC When Running in the Same Device? Just like last year, Galaxy S8 comes in two chipset models; one is running the Exynos 8895, and if you’re living in the U.S. or Canada, you’ll get the Snapdragon 835 version instead. Both of these SoCs are manufactured on Samsung’s 10nm FinFET process, and they have different specifications ranging from clock speed and features. Now the main question is, which one performs better in multitasking and real-world speed runs? Let us find out. Similar Hardware But Different Chipsets – Which SoC Will Be Crowned the Winner in This Speed Run? PhoneBuff runs a lot of sophisticated smartphone speed runs by putting mobile devices next to each other and see which ones can load applications faster, all the while retaining them in the RAM when they are reopened again. So far, the iPhone 7 Plus is the reigning champion thanks to its fluid OS and powerful hardware but let us see how different chipsets present in the Galaxy S8 fare against one another. There are always two laps carried out with the PhoneBuff-style smartphone speed test and during the first lap, it is the Exynos 8895-powered Galaxy S8 that takes the lead against the Snapdragon 835 by finishing in at 1 minute 41 seconds. The Snapdragon 835 was not far behind by registering a time of 1 minute 45 seconds. Now comes the second lap and both smartphones are running toe-to-toe against one another, showing that RAM management of both phones has been done right. After the test has been concluded, it shows that the Exynos 8895 version is only two seconds faster than the Snapdragon 835 variant, which hardly makes a difference. 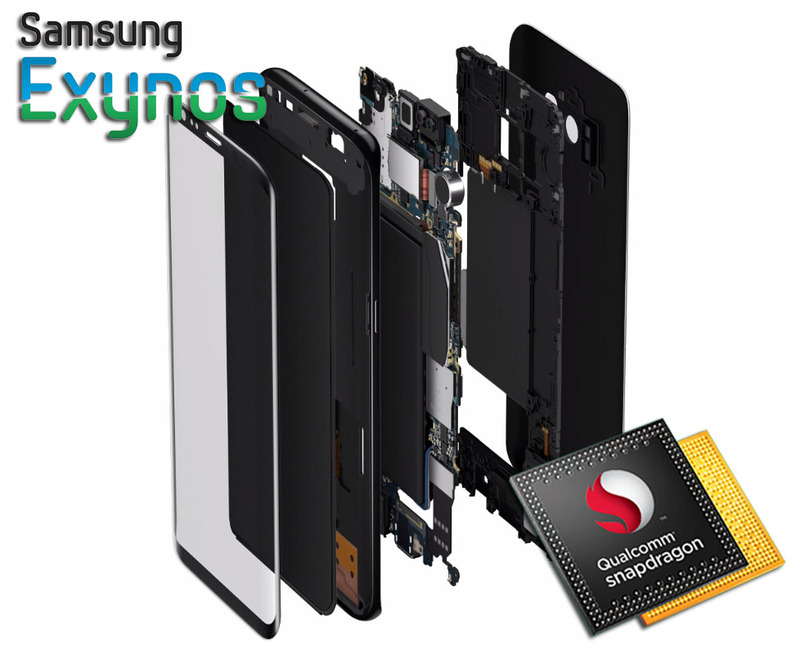 If you do not have a monumental number of applications running in the background, then you have absolutely nothing to worry when it comes to choosing either the Snapdragon 835 variant or the Exynos 8895.